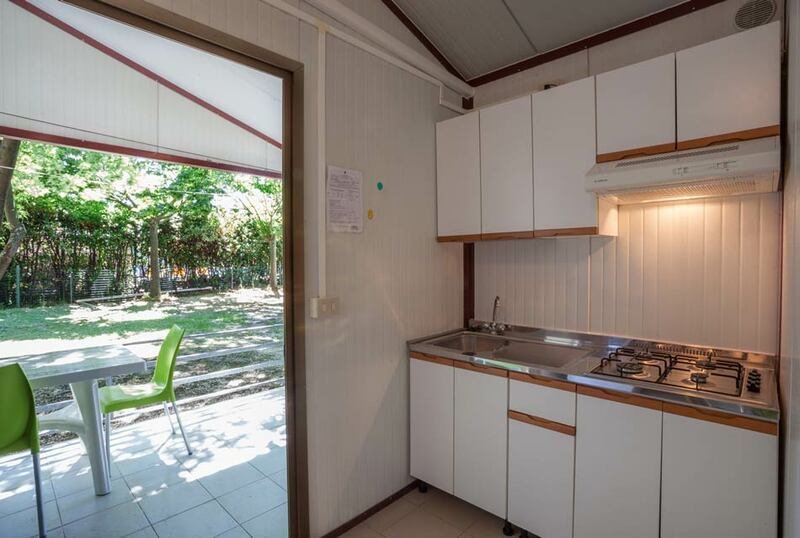 In our holiday village by the sea of Senigallia you will find 4 types of bungalows to choose from. 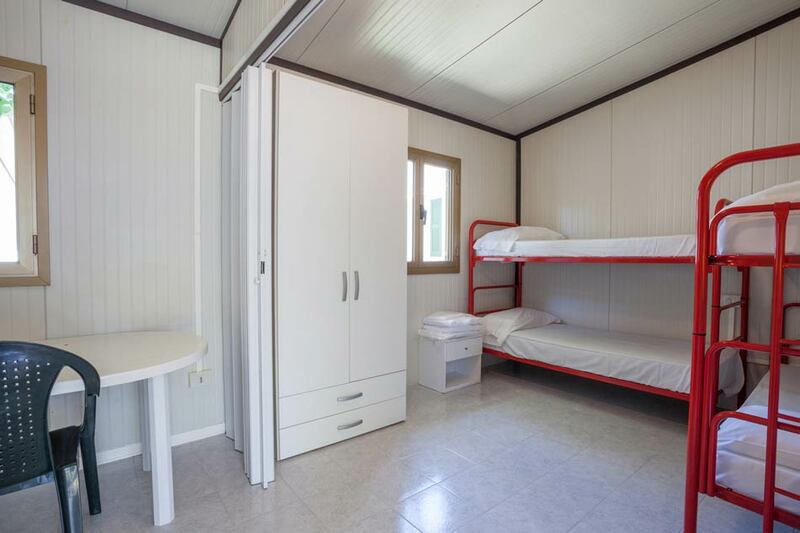 They can accommodate from 2 to 7 beds, are structured in different ways from one another and have different surface areas and sizes. 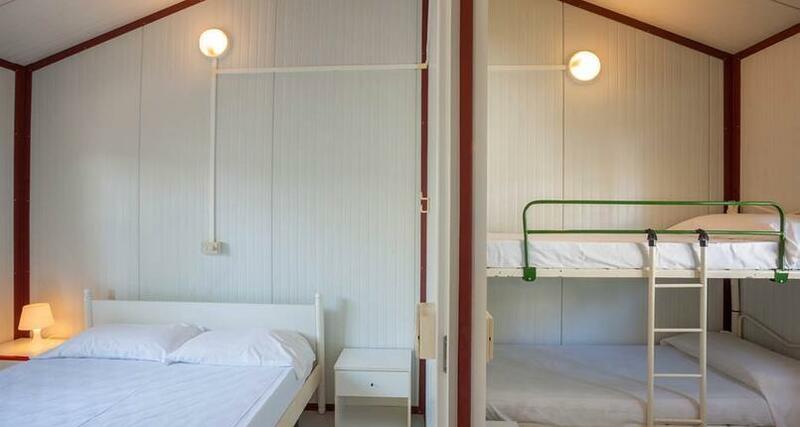 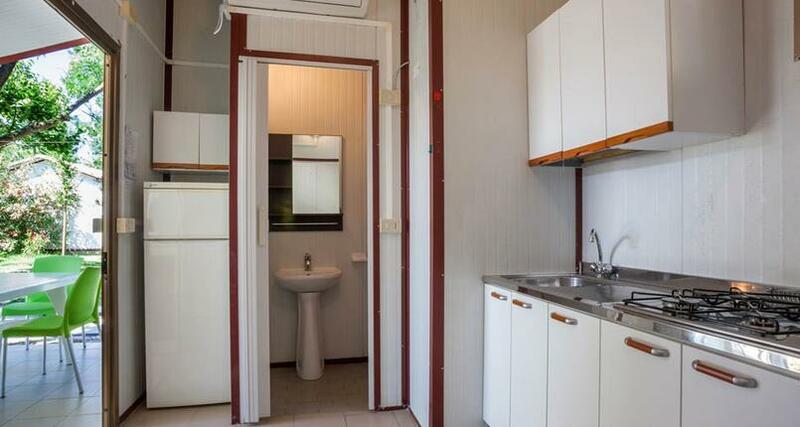 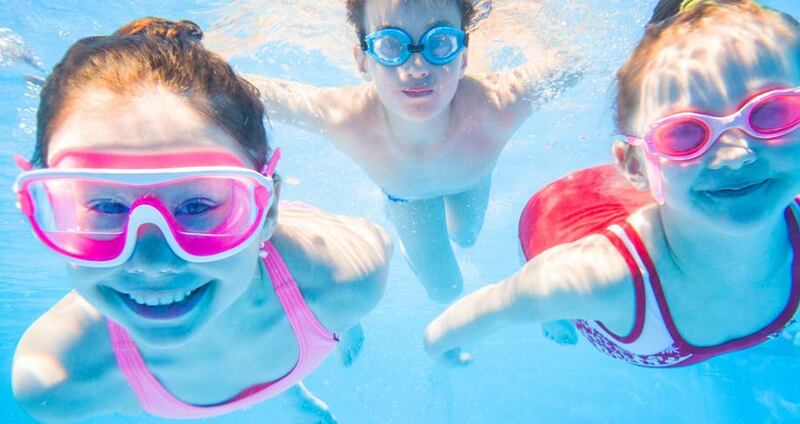 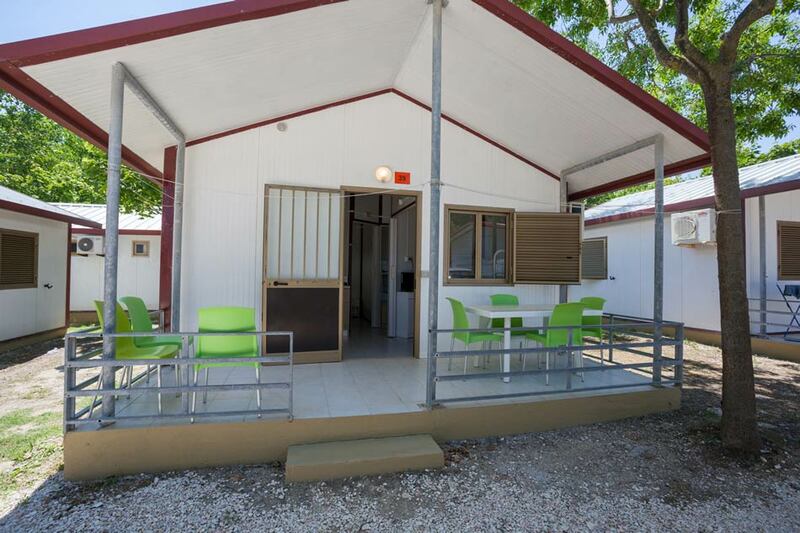 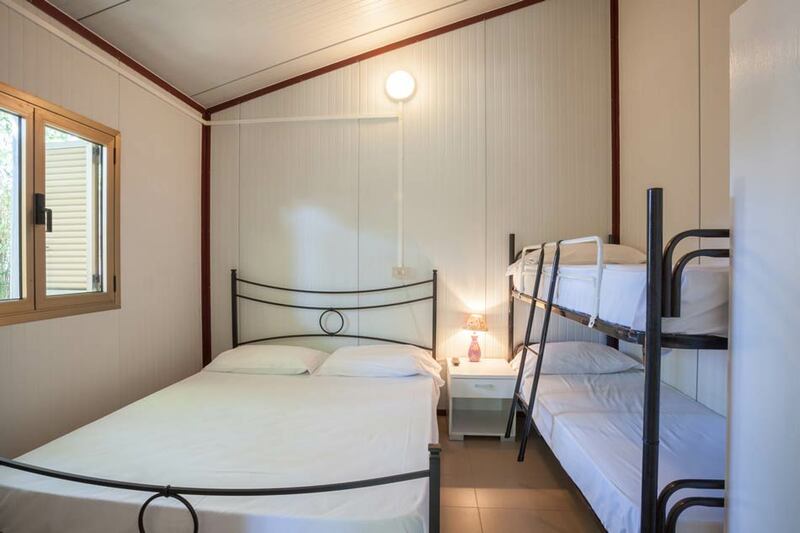 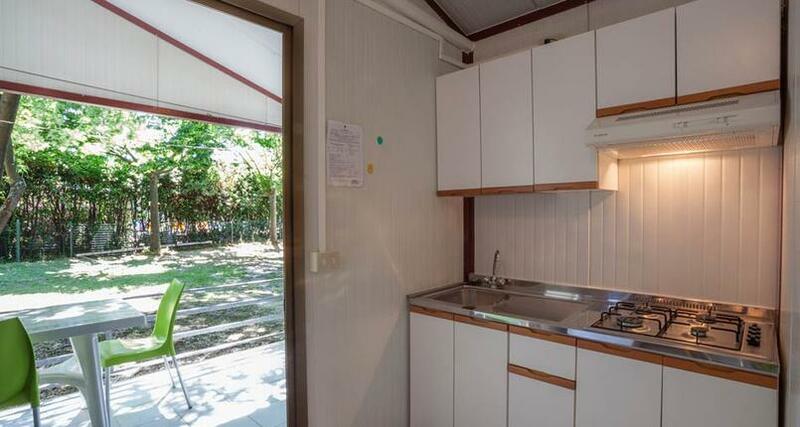 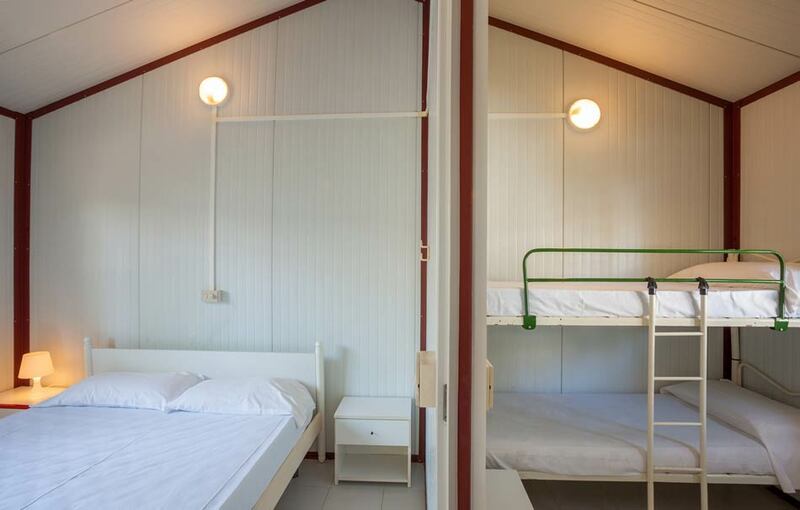 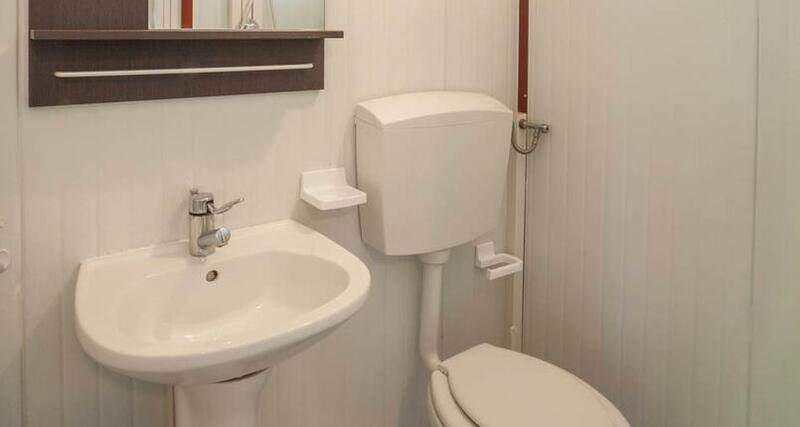 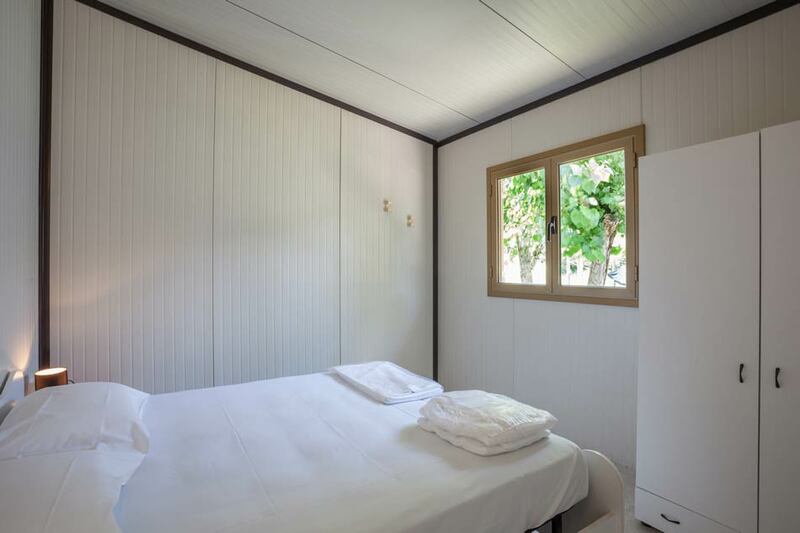 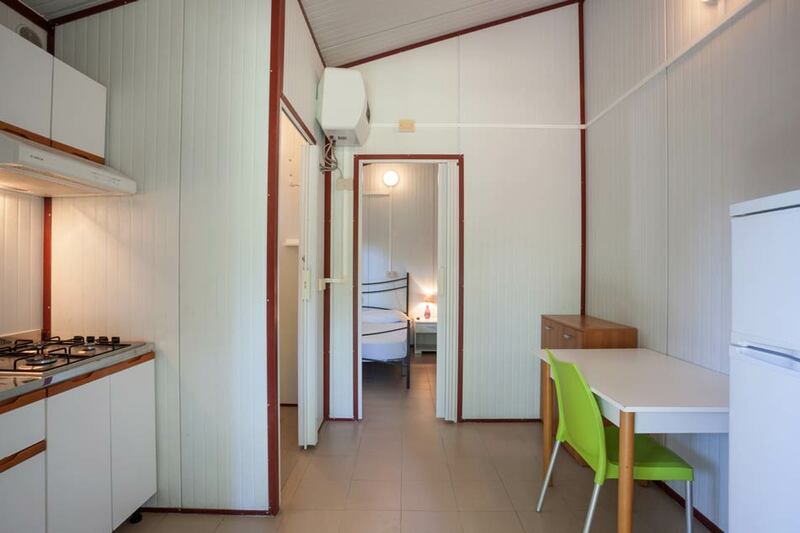 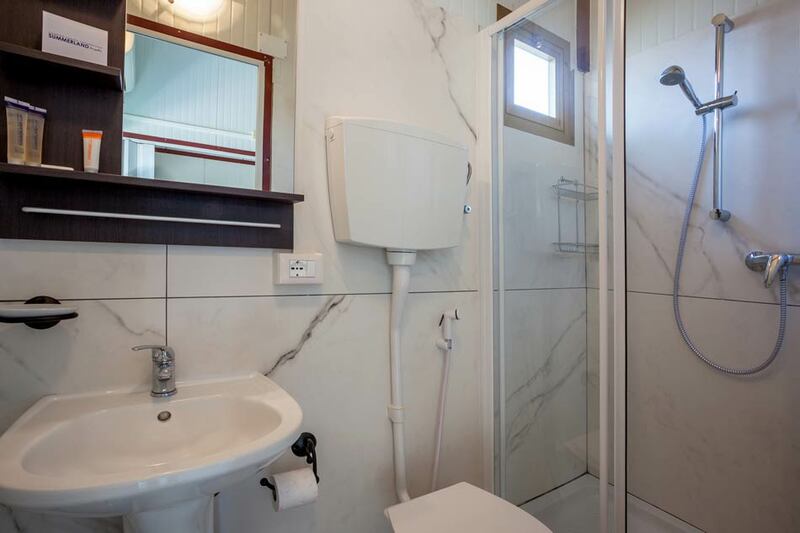 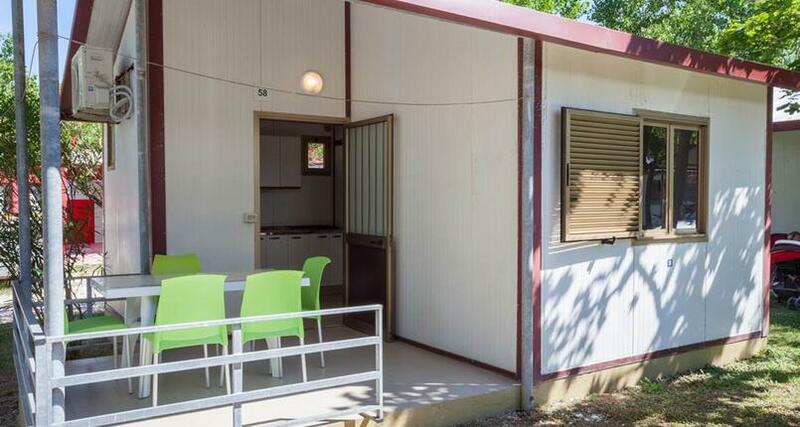 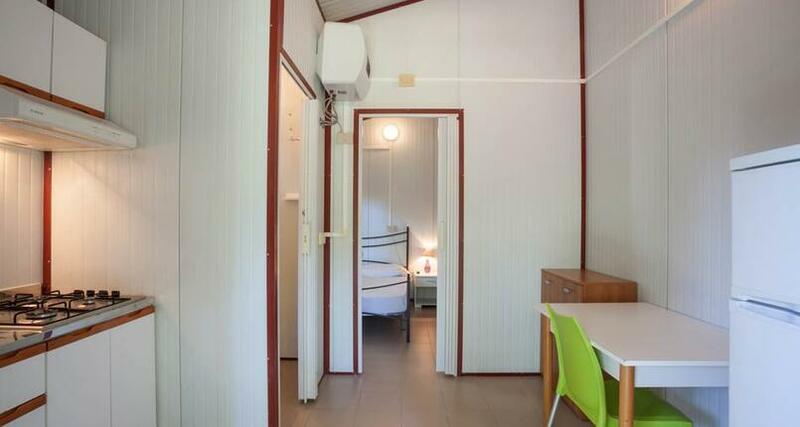 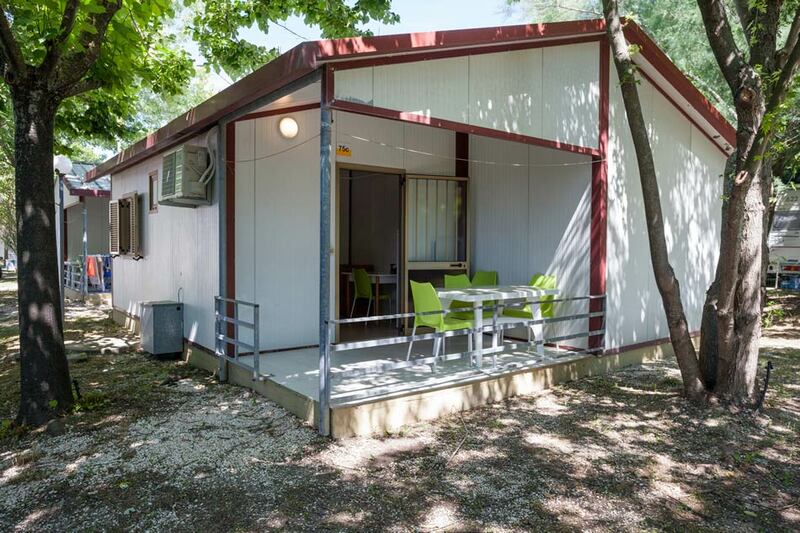 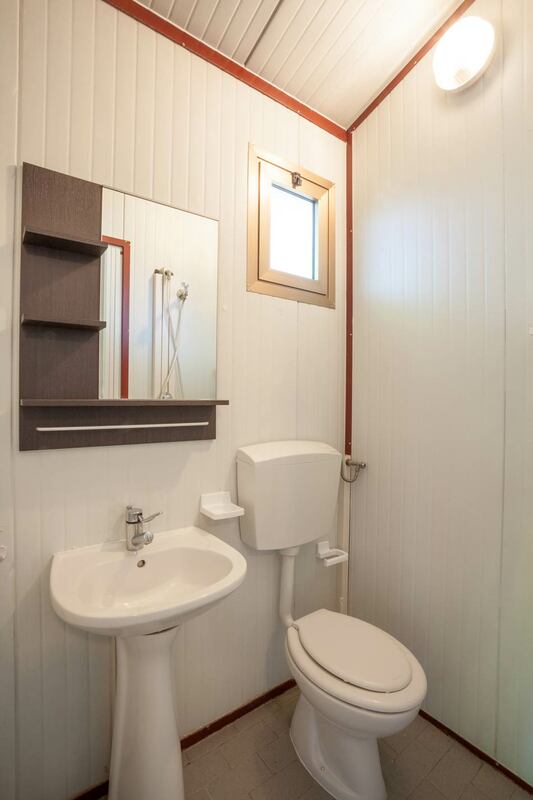 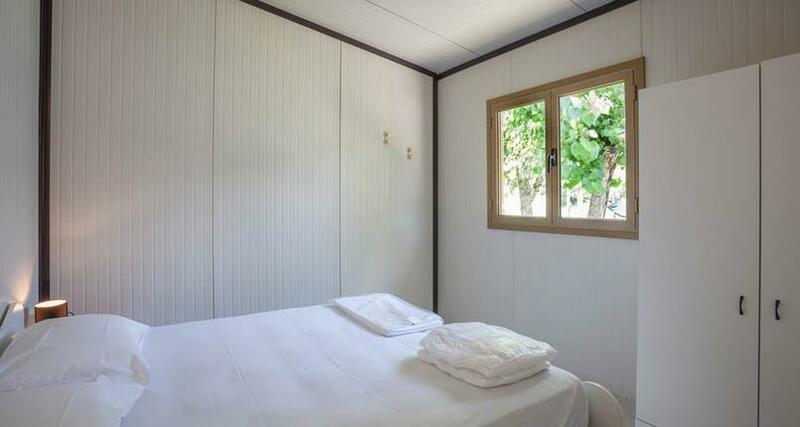 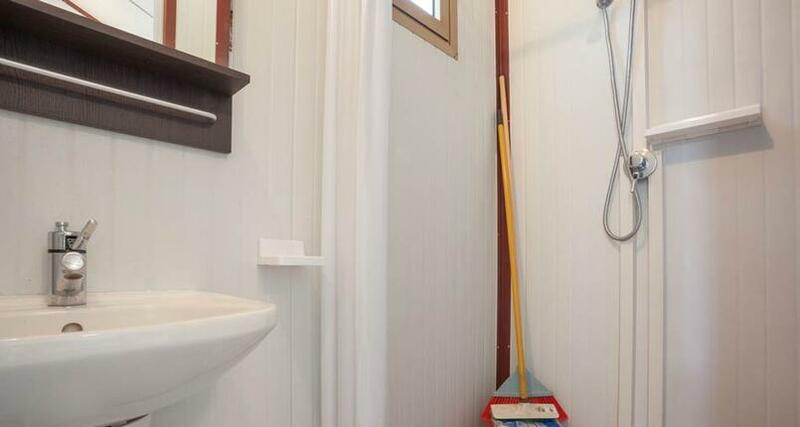 Discover our Senigallia campsite bungalow offers and choose the one that fits you best! 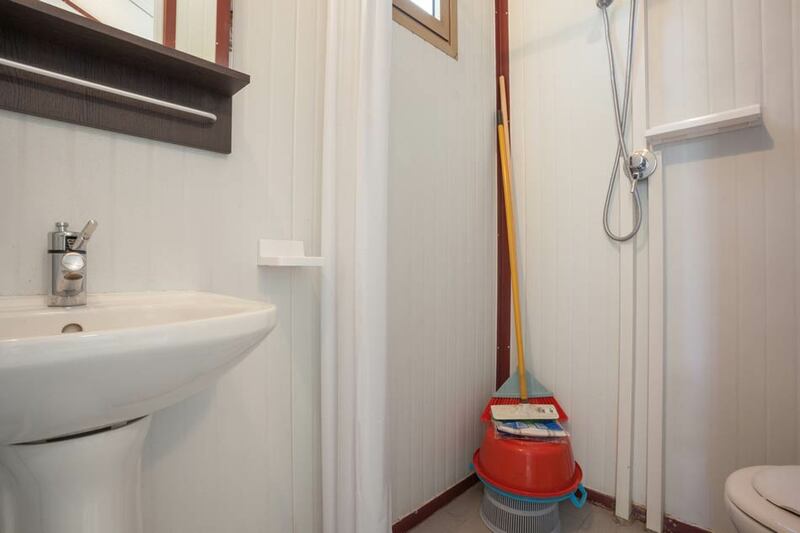 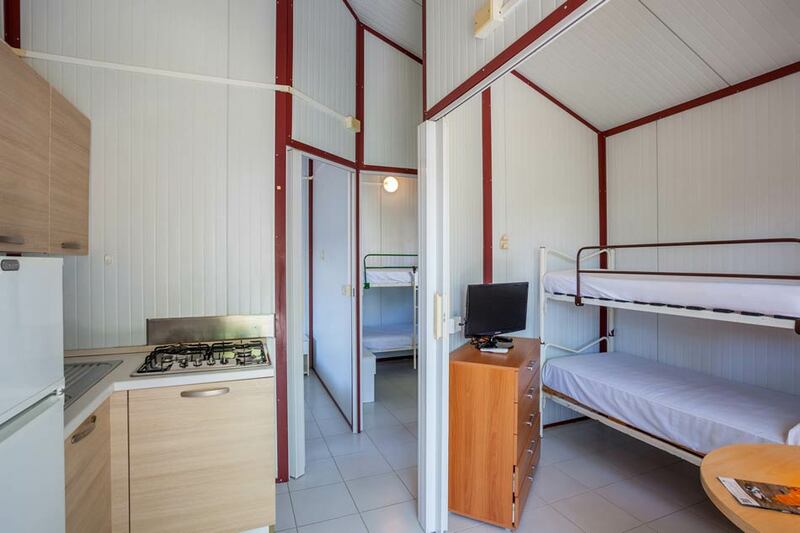 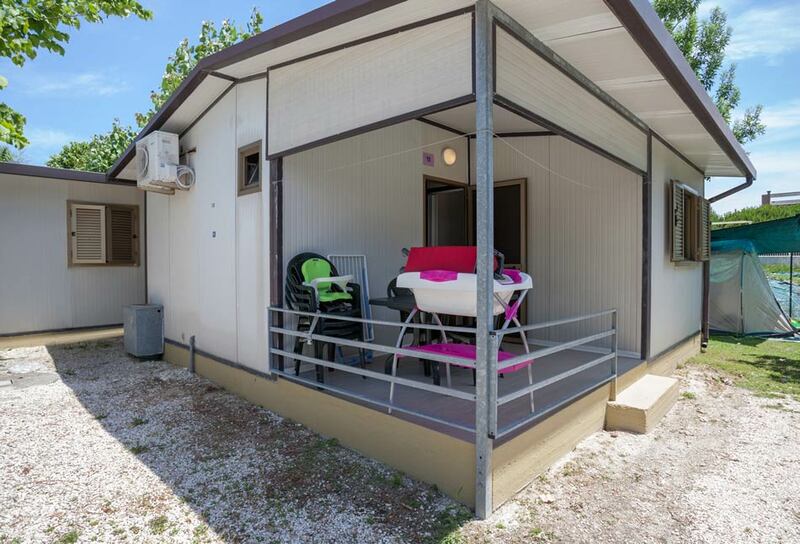 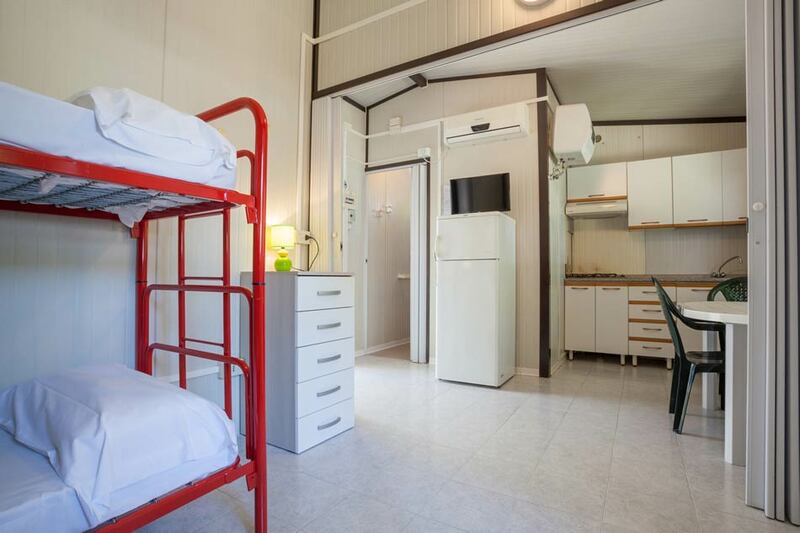 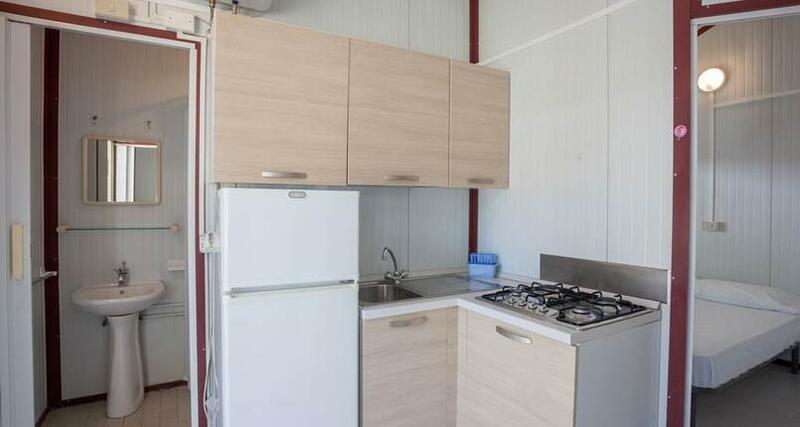 Description Consisting of a double bedroom with nearby bunk bed, living room with 4-burner equipped kitchen, fridge with freezer, internal bathroom with WC, washbasin and shower, water heated by 30-litre boiler, TV and air conditioning. 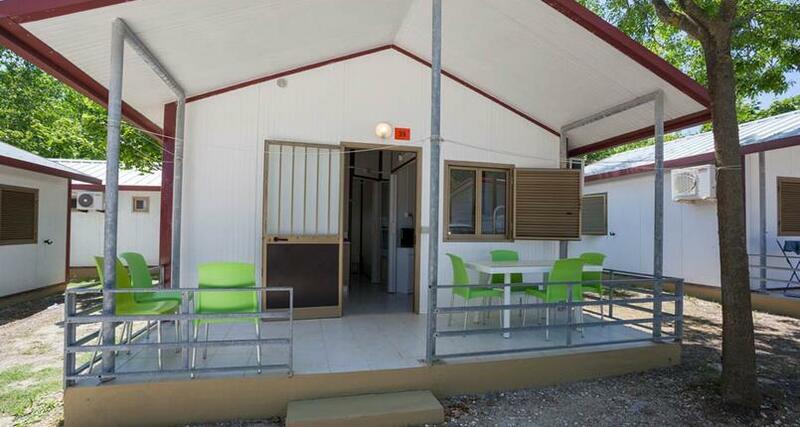 Outdoor covered veranda with table and chairs. 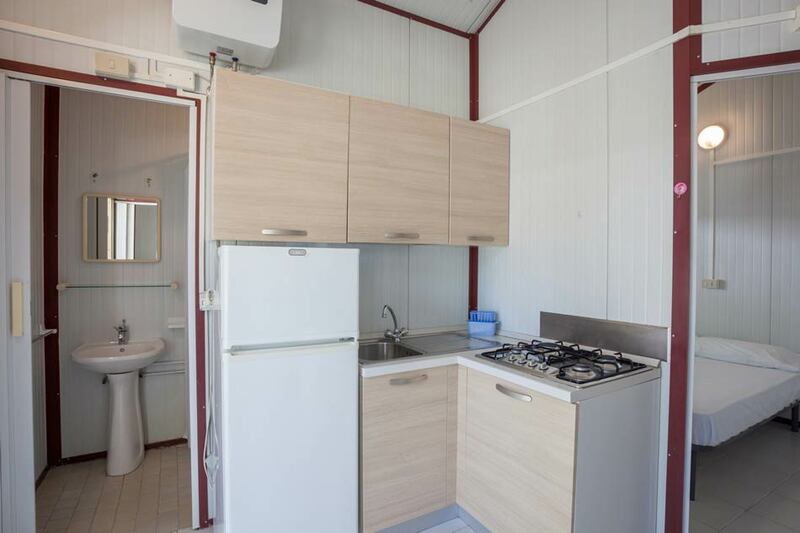 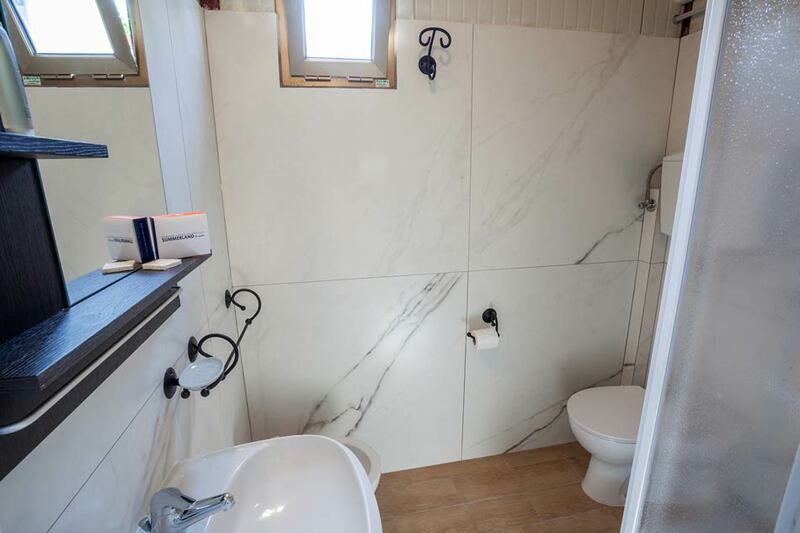 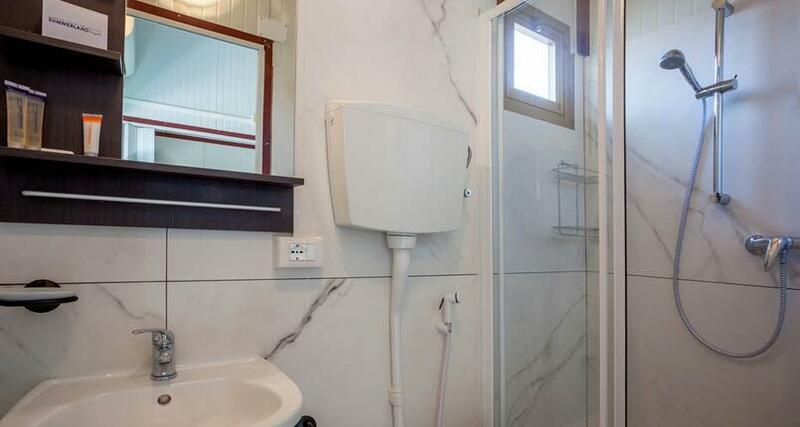 Description Consisting of a double bedroom, bedroom with bunk bed, living room with 4-burner equipped kitchen, fridge with freezer, private toilet with WC, washbasin and shower, water heated by 30-litre boiler, TV and air conditioning. 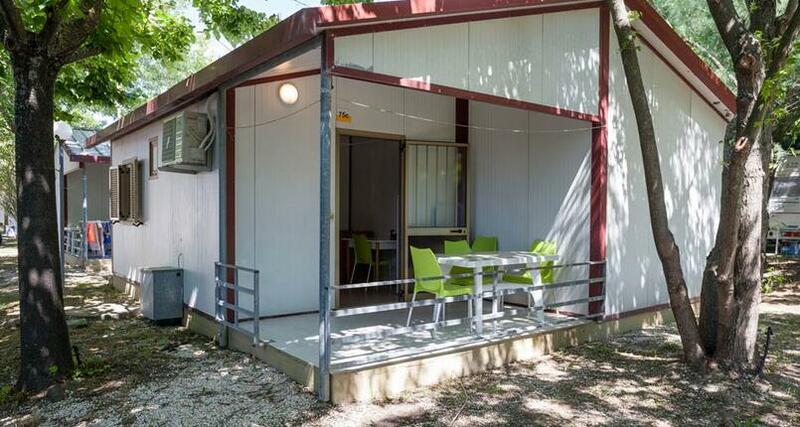 Outdoor covered veranda with table and chairs. 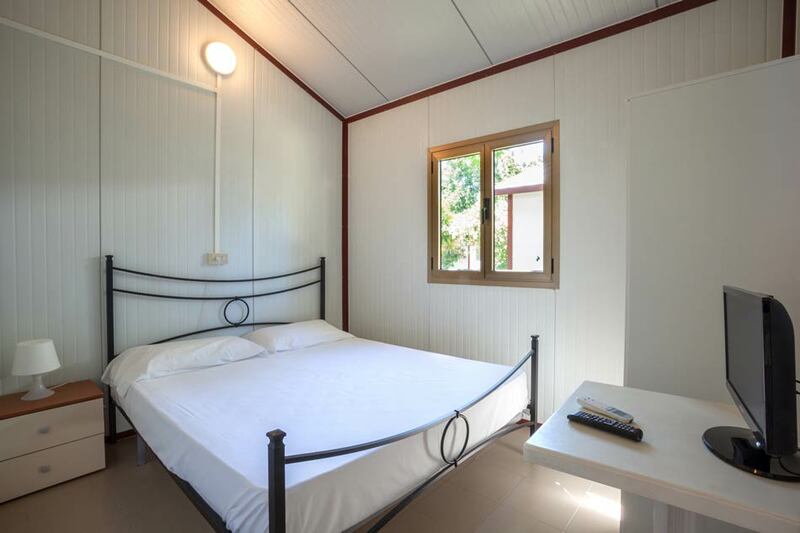 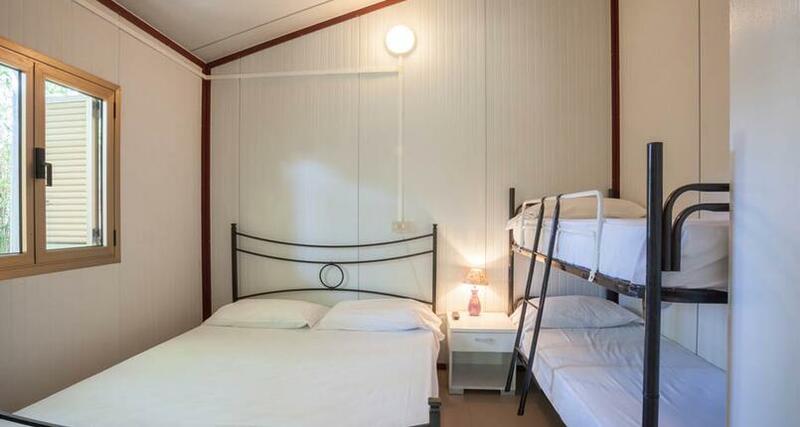 Description Consisting of a double bedroom (with possibility to add a single bed), bedroom with 2 bunk beds, living room with 4-burner equipped kitchen, fridge with freezer, private toilet with WC, bidet, washbasin and shower, unlimited hot water, TV, air conditioning and mosquito nets. 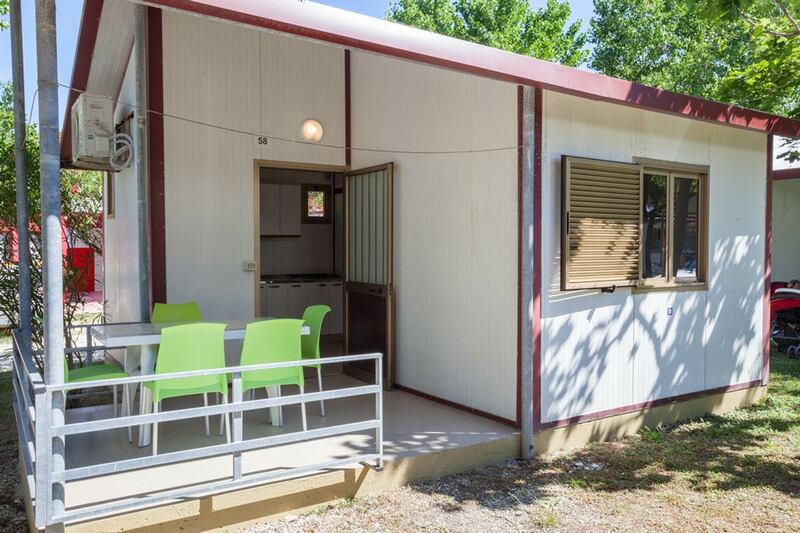 Outdoor covered veranda with table and chairs. 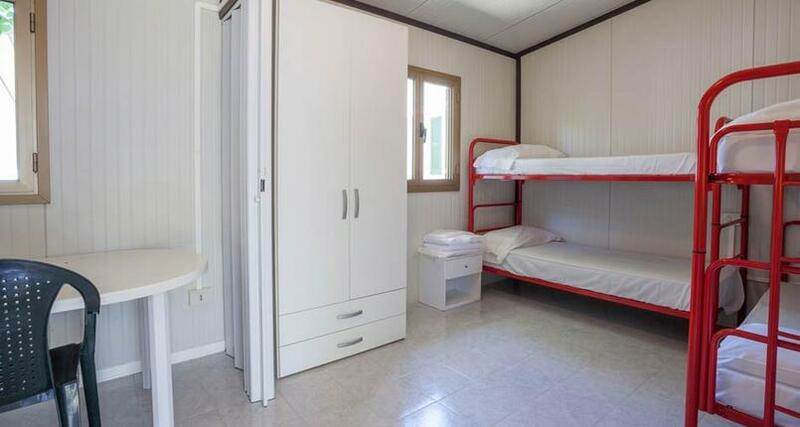 Description Furnished and consisting of 3 bedrooms: one double bedroom, one bedroom with bunk bed, another bedroom with bunk bed. 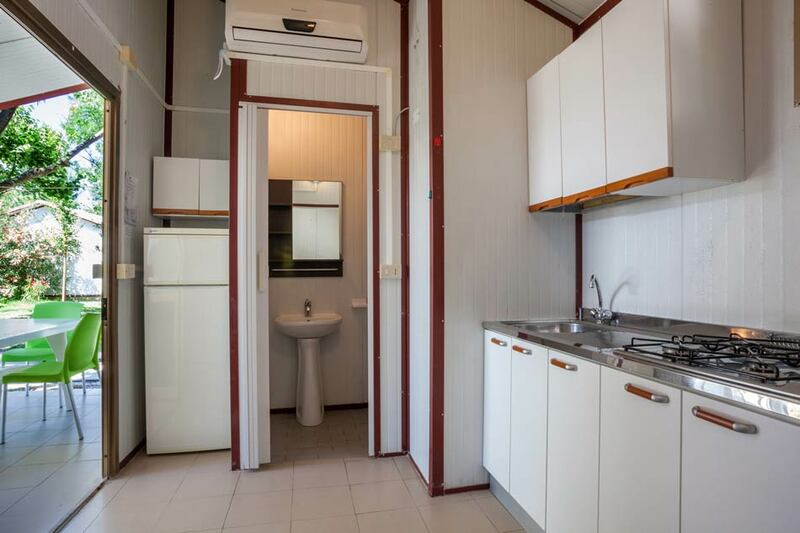 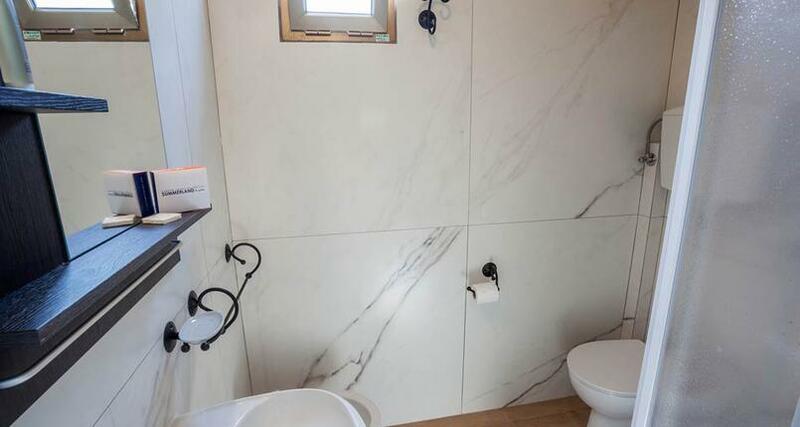 In addition, there is a living room with 4-burner equipped kitchen, large fridge with freezer, internal bathroom with WC, washbasin and shower, unlimited hot water, TV and air conditioning. 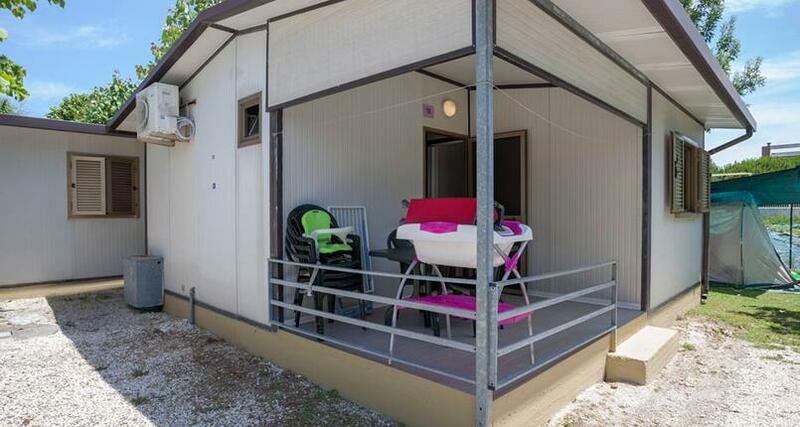 Outdoor covered veranda with table and chairs. 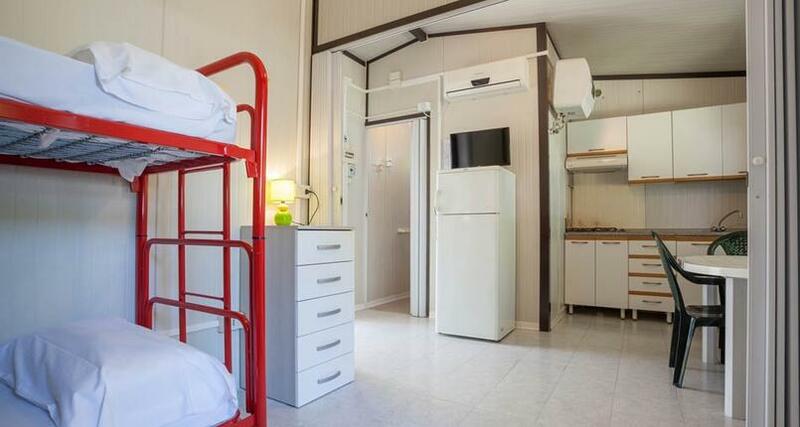 Parking space next to each housing unit. 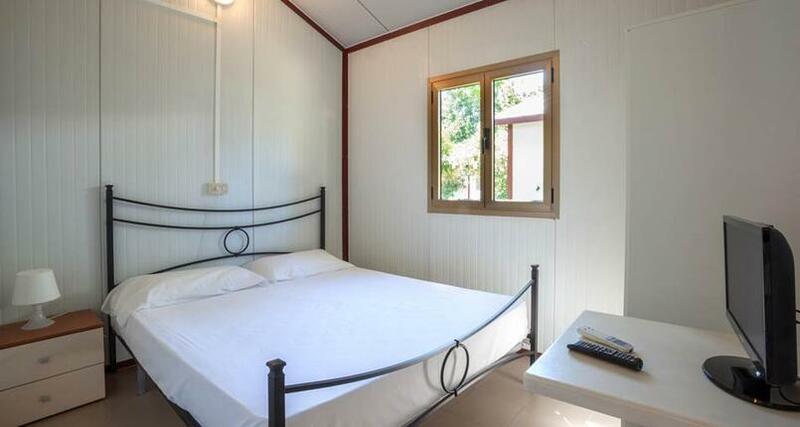 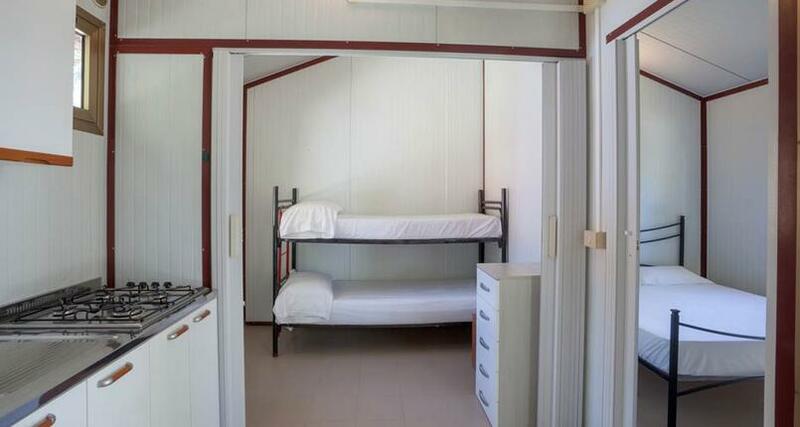 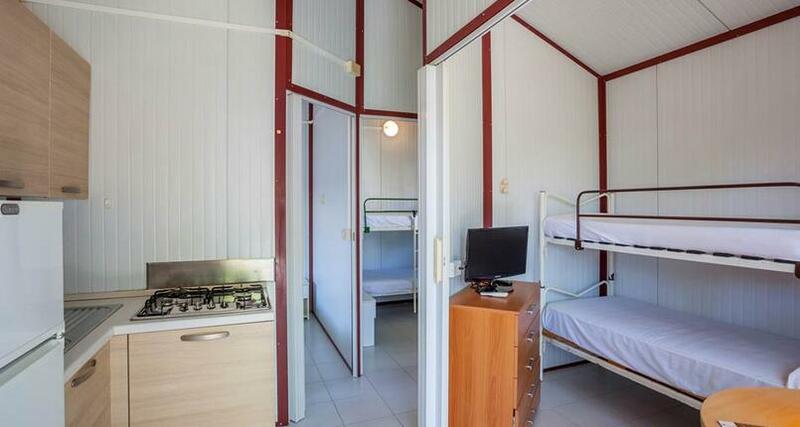 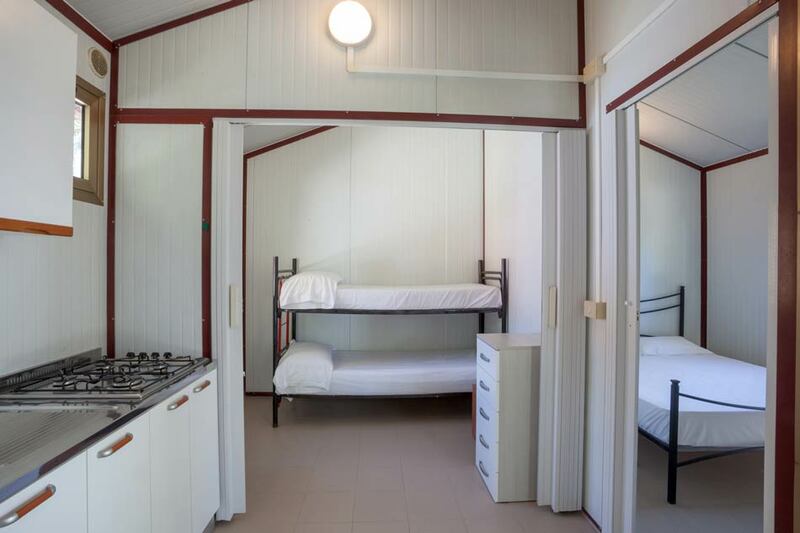 For the bungalows you are required to bring your own kitchen, bed and bathroom linen along (blankets included).